“No Minimums” is the headline on the Modern Metals July article about Slice. Modern Metals did a complete write-up on Slice of Stainless in their July issue. Author Corinna Petry interviewed our Sales Manager Jim Schneible. They talked about Slice’s early days, and the growth experienced since our founding in 1992. The article covers our product line and shearing capabilities, and our planned 20,000-square-foot warehouse expansion (with the addition of two more shears). Also included is an interview with long-time customer Harold Gatts of B.C. Metals Inc. in Batavia, Ohio. B.C. 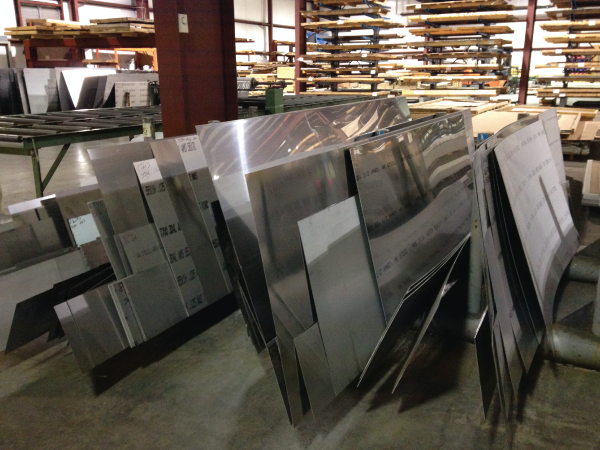 Metals sells test parts to the aircraft industry. Mr. Gatts had some nice things to say about our service. Other topics touched on included Slice of Stainless’ inventory system, shipping & logistics, and quality control.